WIRED's annual headline event, the two-day WIRED2016 summit returns to London this November. 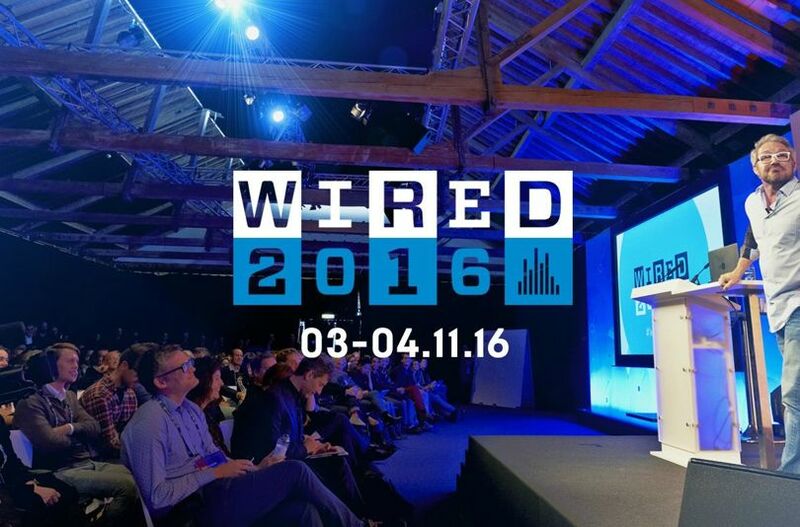 Held on 3 to 4 November, 2016 at London's Tobacco Dock, the event brings together 50 fascinating speakers and showcases the latest technological innovations in the WIRED Test Lab with Telefónica Open Future. With seventeen sessions across two days, WIRED2016 will feature incredible insights from disruptive innovators and ground-breaking artists and will offer exceptional networking opportunities with like-minded individuals. These two days are a great opportunity to learn and debate the ideas that are shaping the future and to relish in innovation. iGuzzini together with UniversalAssemblyUnit are showcasing 'Light Pollination', one of the most popular installations featured at this year's London Design Festival. The interactive digital artwork is stationed in the WIRED Test Lab with Telefónica Open Future. The installation seeks to spread the word about light, and in doing so, it explores the strong links between light and communication. Fibre optic, the primary material used to create the artwork, is a vehicle for light through which high-speed communication is facilitated. Rather than addressing a particular function, it imagines an alternative way of interacting with artificial light. Powered by love of playful light, the artwork features around 20,000 individual points of LED light brought to the surface through fibre optics, and is dotted with interaction points. When light is shone onto these pollination points, the artwork immediately responds with growing bands of light, which expand progressively into wider and faster light bursts. This creates a pollinating effect across the artwork, completely transforming its landscape. Acces to the event is ticket-based.